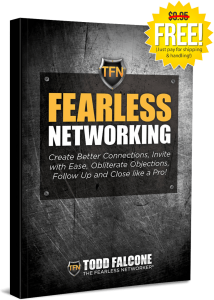 Do you worry that you are “bugging” your friends and family with your products or opportunity? If so, you may have a negative MLM Blueprint™. 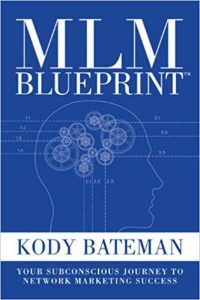 I want to challenge you to consider your “MLM Blueprint™.” In other words, examine your deeply held beliefs about network marketing. Your success depends on it! It is possible to change your MLM Blueprint™ from negative to positive, although it will take education, coaching and work to do so. We can help you get off to a great start in changing your MLM Blueprint™. Your MLM Blueprint™ stems from your own experience and preconceived judgements from others. What was your first-time initial reaction to MLM? Explore your emotions. What is your history with MLM? How were you first introduced, and what has been your experience? What were the people around you saying about MLMs then? What are people saying now? What is your first emotion when you hear the question, “Is this an MLM?” Is this one of those “Pyramids?” Why do you feel that way? Are you excited to approach the people you know about the AMSOIL business opportunity? Or do you prefer to approach people you don’t know? Why? Not counting anyone in AMSOIL, how much money do people you know make in MLM businesses? Since joining AMSOIL, what has been your experience with network marketing? What are you saying to yourself about AMSOIL and network marketing on a daily basis? Are you reading and listening to positive messages about our company as well as MLM in general? What are you prepared to say? Do you personally know someone in AMSOIL that earns a full time income? An exploration of the above questions and your responses will help you define the current state of your MLM Blueprint™. Create a new MLM statement from the answer. Network Marketing (AMSOIL) provides me with a unique opportunity to create a business with low start-up costs and with very little risk. I can work it part-time until it takes over the income I receive from a job. I can build a recession-proof business with no employees, no overhead and no investors. I am in business for myself but have many others who have a vested interest in my success. I can live and work anywhere I want, always be around positive people and have an ongoing personal development plan. I can do what I want, when I want, where I want, and enjoy an adventurous lifestyle. I can create financial security and show others how to do the same. I can help others live a better life with a business that offers the same opportunities to anyone, meaning they can come from Yale or jail. My business plays no favorites. It treats everyone the same but rewards those who perform. These three books will help you get a better understanding about yourself and our profession. If you are Serious about Success with your AMSOIL Business, reading and learning is key! Personal development through consistant self education about sales, leadership, sponsoring is the key to success. AMSOIL’s Vision is My Vision! The overriding priority in our Marketing Plan is a Business Opportunity for AMSOIL Dealers. AMSOIL INC. provides programs and support mechanisms to help AMSOIL Dealers earn a residual income mainly through the sponsorship and training of other AMSOIL Dealers, as well as the utilization of the sales programs. AMSOIL has created a great workbook called The AMSOIL Game Plan Your Path to Success. All dealers, new and old, should have a paper copy and work the plan. You can print yourself or order from AMSOIL. The AMSOIL Game Plan is a step-by-step guide designed to help you become successful in your business immediately. Don’t wait to get this booklet and start filling it out. The key is getting started. Learn what it takes to earn $1,000 or $5,000 or $10,000 per month in AMSOIL. Once you have your system down, just repeat as many times as necessary to achieve your own personal goals. Our Opportunity offers the most exciting opportunity I know of ANYWHERE, and it just keeps getting better! If you agree that AMSOIL is a company with an amazing mission and a fabulous income opportunity, then why WOULDN’T you want to share it with those you care about most? I challenge you to commit to showing the AMSOIL products and sharing the business opportunity with 10 people on your Warm Market List in the next week. When I got serious about AMSOIL, I made a decision to start contacting people on my Warm Market List (people that I knew and my family.) I contacted 25 people and offered to send a printout of the AMSOIL products for their vehicles. Then I offered for them to become preferred customers to save 25%. All this represents is a DECISION TO SHARE, followed by picking up the phone and taking action. It’s that simple! I shared my story about using the products and the great business opportunity with each person with whom I spoke. With AMSOIL The Sky’s the Limit! In this webinar I detail how to learn to properly share links to AMSOIL.com to social media and your website. I also spell out the pitfalls of sharing other dealers links. Learning how to do this correctly will help you gather more customers. In this webinar video I explain how and why it is important to keep your Retailer and Installer Accounts u to date in the AMSOIL dealers zone. Learning how properly do this can add many new customers to your business. AMSOIL Dealers are fortunate to be part of such a special company. As far as we know, there are no other home based business opportunities out there where the company does as much branding and promotions as AMSOIL. While it would seem natural for those involved in racing, powersports and engine performance to know about AMSOIL, the truth is, there are many people that are just now discovering the benefits of synthetic lubrication and what it can do for engines and equipment. When we started as AMSOIL Dealers back in 2000 there was very little AMSOIL Brand visibility in racing. Most of it was at the grass roots level that was sponsored by independent dealers. To this day, many AMSOIL dealers provide racing sponsorship in an effort to help build their business locally. Over the last 15 years, AMSOIL Inc has taken on a more serious role in order to build that corporate band image. This is great for all independent dealers because now the brand recognition is growing and people outside of racing are experiencing the higher level of lubrication performance that AMSOIL provides. We recently attended an event called the Monster Jam, held in Louisville Kentucky. Over two days and two shows there were between 5,000 and 10,000 people in attendance to watch 1,000+ horsepower monster trucks battle it out in the arena. This event draws many younger kids who love to hear the loud engines, and see these truck jump 20 or more feet in the air. Its quite a site to see. This brings me to a point. Connecting with our future drivers, mechanics, performance enthusiasts today will help build that brand recognition for the future. Our AMSOIL team was excited to talk with hundreds of people about the products we offer to help save money and increase performance. We gave out over 120 catalogs. As they say, “The best time to be an AMSOIL Dealer is Now” because the opportunity keeps getting better. Better branding, better training, better opportunities, more products, easier sales and more fun. We suggest that if you are not yet an AMSOIL Dealer, check out one of the AMSOIL Branding Experience opportunities. If you already are an AMSOIL dealer, consider taking part in an event or in the very least. How does one find an AMSOIL Branding event? First place to look is amsoilracing.com in the top menu you have series, events and partnerships. 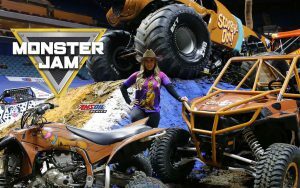 There are plenty of ways to take part in the AMSOIL Branding Experience, get out there and have fun! In today’s training tip I ran across a disclaimer from another company that I borrowed because I feel it would be appropriate for anyone who decides to join AMSOIL as an independent dealer. Making money with AMSOIL is not guaranteed and will be 100% dependent upon the skills, work effort, and commitment of the new dealer. Please note, as this is very important, this business is not easy. It takes hard work to make a substantial income in this business, and most will make no money at all. That’s the reality. The money made by an AMSOIL dealer has everything to do with the effort they put into it. Making money with AMSOIL is not guaranteed and will be 100% dependent upon the skills, work effort, and commitment of the new dealer. The system does not do the work for you. Like weight loss, there is no magic pill. You can’t go to bed at night scraping your last dollar together and wake up a millionaire the next day. If only that were true! But, like the magic pill for weight loss, it’s not. Oh, we have exceptional individuals in AMSOIL who have been very successful, but their accomplishments are extraordinary and do not guarantee that every dealer experiences the same results. While everyone has the exact same chance to succeed as an AMSOIL Dealer, varying skill levels and commitment levels are what determines your ultimate success. Keep in mind, past performance does not guarantee future results. We can not mislead potential AMSOIL Dealers by making false and misleading claims. The truth of matter is that there has been and will continue to be potential for unlimited income for those that have the desire, motivation and determination to put forth the efforts in their business. Currently, we are top level AMSOIL Dealers in the company. While we started at the exact same place every new dealers does, with no customers and no training, through several years of efforts we now earn a better than average full time income with the AMSOIL business opportunity. It is our hope to be able to work with you and show you how to create a lifestyle that most only dream about. Many people work all year just to have a few weeks vacation. Still others have never had the chance to take a trip or just relax. Life is full of stress and much of this stress is money related. What if you could have an opportunity to start something with low upfront cost that builds over time and allows you to create Financial Freedom within 5 years? If this sounds interesting to you, I would encourage you to explore the AMSOIL Dealership Business Opportunity. Discover if working with a company that has a high business ethic, has developed a product line second to none and that allows you to create a business for yourself, but not by yourself. Is AMSOIL right for you? Visit our page on What does it take?